Transfusion reactions are relatively common, even in those with appropriately cross-matched blood. Blood products are scarce and should therefore only be used when necessary. Blood group incompatibility is a rare but life-threatening complication. Blood products therefore need to be appropriately cross-matched and checked to avoid severe consequences. In this article, we shall look at blood groups, the different types of blood products, and their administration. To minimise the risk of transfusion reactions, the blood group of the donor and recipient must be considered. In blood transfusions, there are two important blood groups, the ABO blood system and the group D of the rhesus system. A patient’s blood group can initially be classified as ‘RhD+’ or ‘RhD-‘: this refers the presence or absence of Rhesus D surface antigens on the red blood cells (RBC). Approximately 85% of the population is RhD+ (they have RhD antigens present) and 15% are RhD– (RhD antigens are absent). A RhD- patient will make RhD antibody if they are given RhD+ blood. Clearly, this will not matter for the patient; a RhD- patient, who is given RhD+ blood, and therefore makes anti-D, cannot then go on to attack their own red blood cells as they do not have RhD present on their RBC membrane. 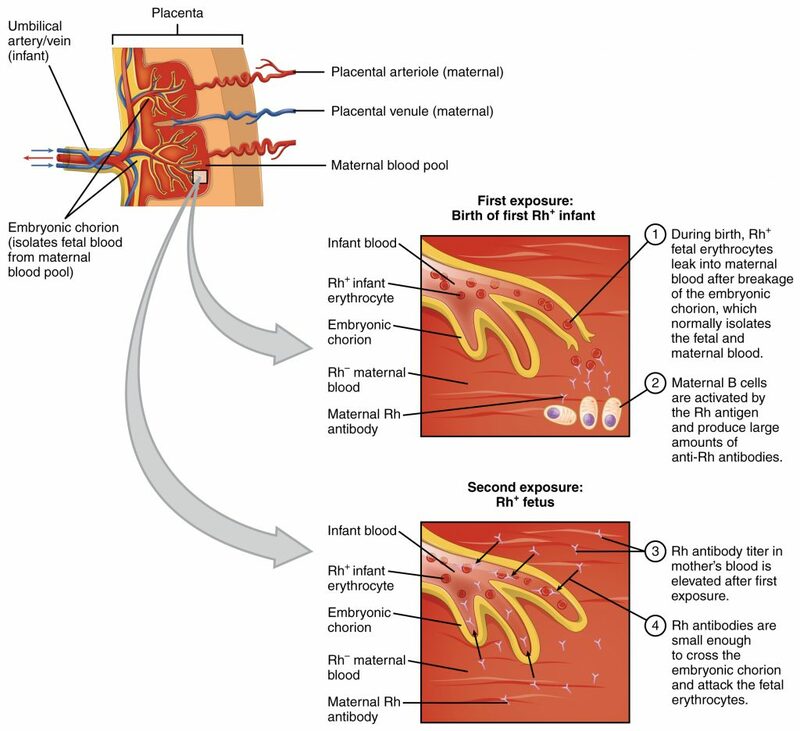 Figure 1 – Haemolytic disease of the newborn. A woman is born with RhD- blood. Her partner is RhD+ and she becomes pregnant with a fetus that is also RhD+. During childbirth, she comes into contact with the foetal (Rh+ve) blood and develops antibodies to it. She later becomes pregnant with a second child that is also Rh +ve. The woman’s anti-D antibodies cross the placenta during this pregnancy and enter the foetal circulation, which contains RhD+ blood, and bind to the foetus’ RhD antigens on its RBC surface membranes. This causes the foetal immune system to attack and destroy its own RBCs, leading to foetal anaemia. This is termed haemolytic disease of the newborn (HDN). We therefore give RhD specific blood to women in order to avoid HDN. In men, this is clearly not a concern so, although it is preferable to give correctly cross-matched blood, it is possible to give a RhD- male some RhD+ blood if that is all that is available in an emergency setting. Universal donor: O-ve – this blood can be given to anybody, irrespective of the recipient’s blood group, because there are no AB or Rhesus antigens on the donor RBC surface membrane. The recipient can have both A, B and Rhesus antibodies in their circulation, but they will likely not reject this donor blood, as there are no ABO or Rh antigens to attack. Universal Acceptor: AB+ve – you can give this recipient any donor blood, irrespective of the ABO or Rhesus status. The recipient does not have any A, B, or Rhesus antibodies in their circulation and therefore cannot mount an immune response to the donor blood. 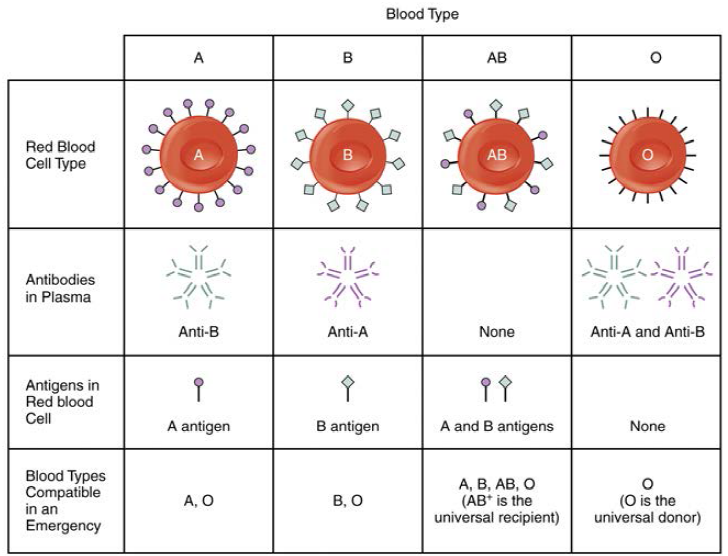 Table 1 – The ABO blood group, with antigens and antibodies. Group and Save (G&S) – determines the patient’s blood group (ABO and RhD) and screens the blood for any atypical antibodies. The process takes around 40 minutes and no blood is issued. A G&S is recommended if blood loss is not anticipated, but blood may be required should there be greater blood loss than expected. Crossmatch (X-match) – involves physically mixing the patient’s blood with the donor’s blood, in order to see if any immune reaction takes places. If it does not, the donor blood is issued and can be transfused in to the patient. This process also takes ~40 minutes, in addition to the 40 minutes required to G&S the blood (which must be done first). A X-match is done if blood loss is anticipated, but the surgeon will usually inform you of this. Using 3 points of identificationto check you are with the correct patient (name, Date of Birth (DOB), and patient number). Consent the patient appropriately – many transfusion request forms will now have a script on them, which you should read to the patient. A consent form (as you would use for consent for any procedure) is completed. Completing the transfusion request form at the bedside. Before you put the blood bottle into the request bag, check with the patient that they are happy you have labelled things correctly. Cytomegalovirus is a common congenital infection that may lead to sensorineural deafness and cerebral palsy. Consequently, CMV negative blood should be given to women during pregnancy, intra-uterine transfusions, and to neonates (up to 28 days). 15-20 minutes after it has started. Blood products should only be administered through a green (18G) or grey (16G) cannula, otherwise the cells haemolyse due to sheering forces in the narrow tube. When blood is harvested from donors, it is separated into its constituent parts. Remember to ensure that all of the above products are administered through a blood giving set rather than a normal fluid giving set. A blood giving set contains a filter in the chamber, whereas a normal fluid giving set does not. 1 unit of blood should increase a patient’s haemoglobin by around 10g/L. Patients given red blood cells may produce autoantibodies to donor surface antigens (of which there are many, other than ABO and RhD). Because of this, before any future transfusions, a new G&S will need to be sent (unless the last G&S was sent and processed within around 3 days of the most recent transfusion). 1 ATD (adult therapeutic dose) of platelets should increase platelet levels by around 20-40 x 109/L. 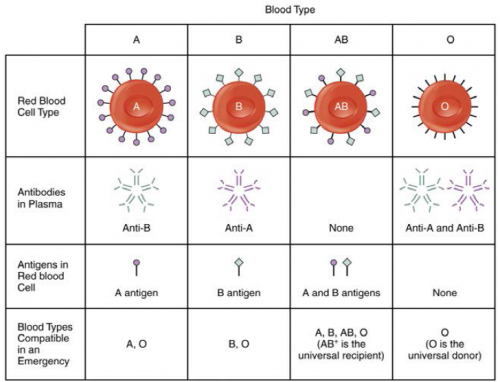 Which ABO group is the universal donor? Which ABO group is the universal recipient? How does Group and Save differ from a Crossmatch? Who does NOT need to recieve irradiated blood? Which cannula's are suitable for blood administration? If a patient has DIC and fibrinogen levels are normal, what type of blood should be given? Which of the following blood products is most appropriate in massive haemorrhage? How much does 1 unit of blood increase a patients haemoglobin levels?